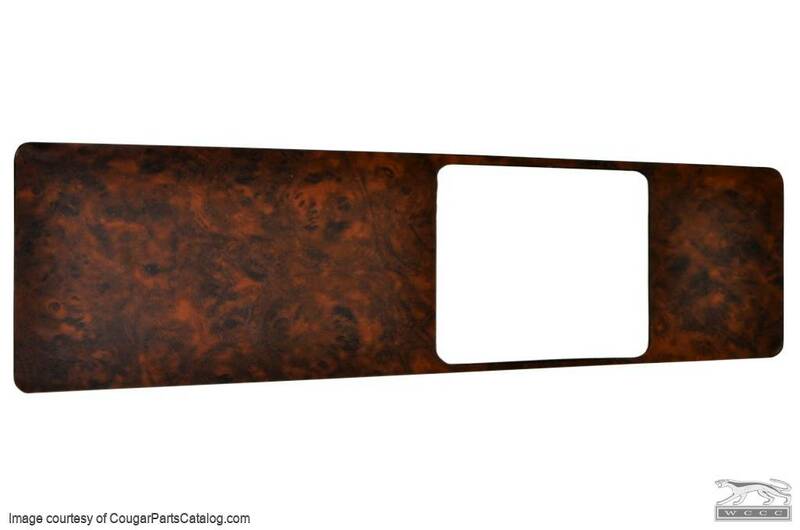 New in-house cut vinyl applique for replacing the burl wood overlay on your 1969 Cougar console insert. NOTE: These inserts came with enough studs to fit multiple cars. When installing this insert, simply clip off the extra studs you don't need.